A “529” higher education savings plan is a tax-favored program operated by a state designed to help families save for future college costs. While the fees, expenses, and features of these plans will vary from state to state, as long as a plan satisfies the requirements of Section 529 of the Internal Revenue Code,1 federal tax law provides tax benefits for both the contributor and the beneficiary. 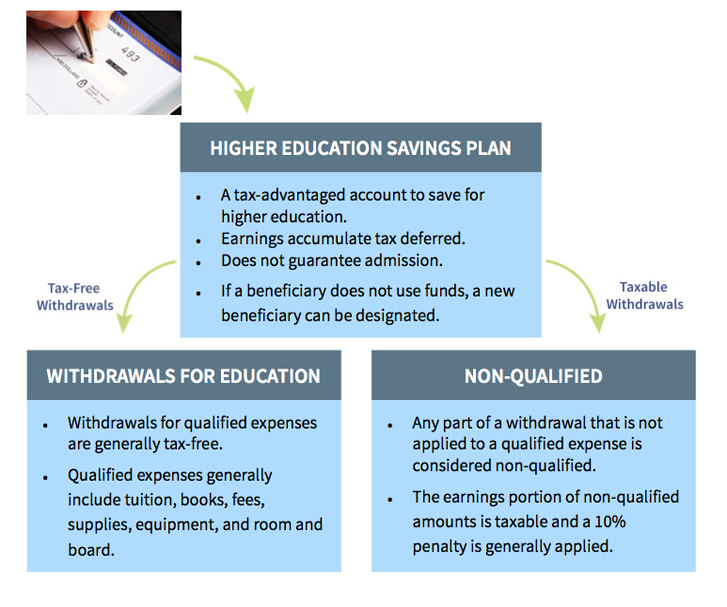 Federal law does not allow income tax deductions for contributions to 529 plans, although growth inside a plan is tax- deferred and qualified distributions are tax-exempt. State or local tax law can vary widely. 529 plans involve investment risk, including possible loss of funds, and there is no guarantee a college-funding goal will be met.